Lake Ashi Cruise @ Hakone, Japan - Always Travelicious ! Lake Ashi (芦ノ湖) is a gorgeous lake with Mount Fuji as a backdrop. When the weather is right, the snow-capped Mount Fuji, bright red torii gate, glowing pirate ships on glistening waters make it absolutely bewitching. The Lake Ashi Cruise (箱根海賊船) is popular for tourists as you can see from loads of people disembarking the ship that we were about to board. We had to wait for about an hour plus before it was our turn. Indoor waiting was available so it wasn’t too bad in the cold weather. Quite a magnificent ship really. Lavish and glamorous in striking colors of gold and red. The ship is pirate-themed so you see a few “pirate” statues on the ship, so it adds on the fun on the cruise – seeing beautiful Mount Fuji while sailing with pirates on a dazzling ship! Viewing Mount Fuji from Lake Ashii is the most spectacular and breathtaking! Cruise leaves from three different ports Hakone-Machi, Moto-Hakone Port, Togendai Port every 40 minutes from 20th Mar – 30th Nov, and every 50 minutes during the winter. Admission Fee: 1460 yen for adults. 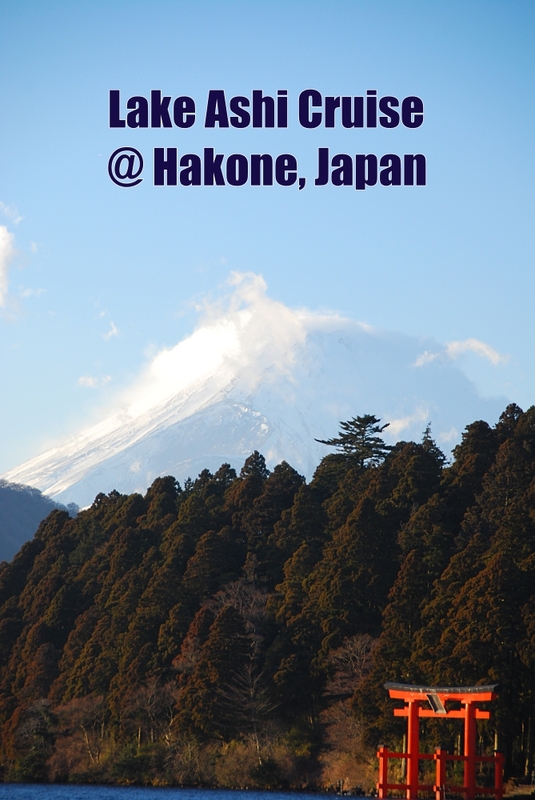 (I would recommend to get the Hakone Free Pass as the fees are inclusive in the pass). Reblogged this on Cruise Doyenne. A breathtaking place where everything is possible. The cruise ship not only takes you to a place of wonder, but it is a wonder in itself. Beautiful carvings and colors. Fu, fun, fun. Quite a magical place really – especially when the lighting is right, everything seems to glisten! Pingback: Hakone Trip – Best of Itinerary @ Japan | Always Travelicious !